We have just been informed by Acer Malaysia that the Aspire R14 convertible laptop has been refreshed in Malaysia. It now comes equipped with a Skylake-based Intel Core i5-6200U processor along with an SSD storage, a change over the previous model‘s slower HDD. Although the refreshed Aspire R14 is sporting a faster SSD storage, it is only a 128GB drive, which is quite limited in comparison to the Broadwell model’s much more generous 1TB HDD. Other than that, the Skylake R14 only has 4GB of RAM and uses Intel’s integrated graphics; last year’s model comes equipped with 8GB of RAM and an Nvidia GeForce 820M graphics card instead. While the new Aspire R14 doesn’t have as much RAM and storage size – not to mention the lack of a dedicated graphics card – as the last generation Broadwell model, it does gain several neat features. These include the addition of a USB Type-C port and a 14-inch 1920 x 1080 IPS display, which should look much better than the Broadwell R14’s 1366 x 768 display. 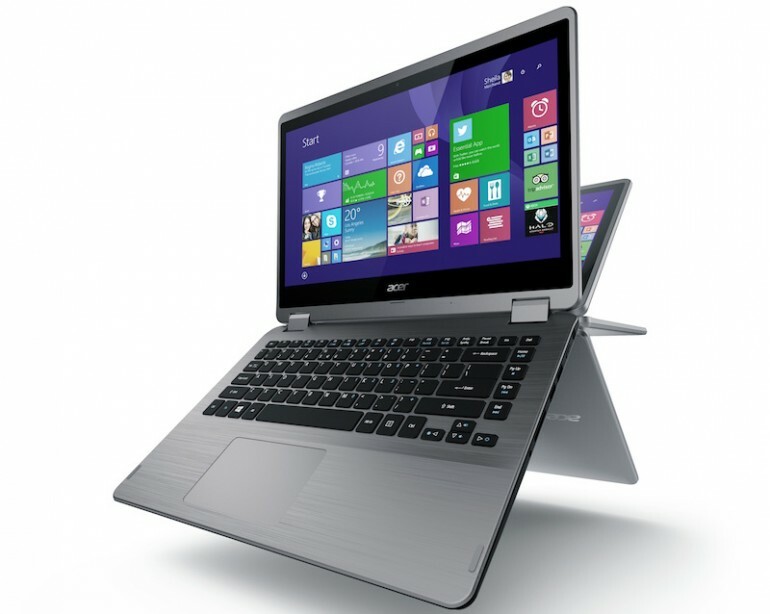 Those who are looking for a convertible laptop for productivity purposes should consider the refreshed Acer Aspire R14, and it can now be purchased immediately in Malaysia from all authorised Acer resellers nationwide. It retails at RM2,899; the same price tag as the Broadwell model, which is rather interesting.